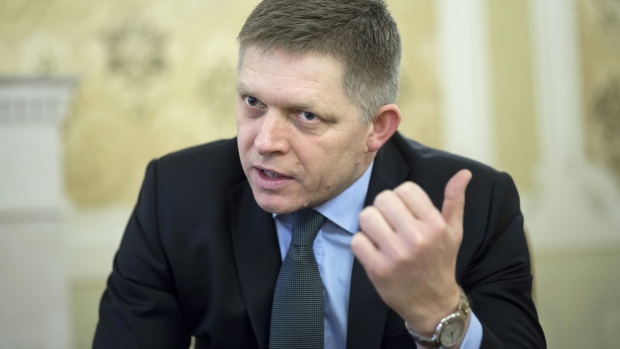 (Bloomberg) -- Slovak former Prime Minister Robert Fico, who was ousted by anti-corruption protests last year, withdrew his bid to become the head of the country’s Constitutional Court following public outcry over his candidacy. Fico, a veteran politician who oversaw Slovakia’s 2009 entry to the euro area and helped transform the country into the world’s top carmaker per capita, faced criticism that he allowed graft to thrive under his rule. After stepping down as head of government almost a year ago, he remains the chairman of the government-leading Smer party. Speaking to reporters in the capital Bratislava on Tuesday, Fico said his decision was motivated by a lack of agreement among coalition parties on the parliamentary procedure to propose candidates for the court. He criticized the intention of some ruling lawmakers to hold a public vote in the chamber as opposed to a traditional secret ballot.